The International Geography Olympiads are held under the auspices of the International Geographical Union (IGU), through the IGU Olympiad Task Force. From July 31st to August 6th, the 15th International Geography Olympiad will be held in Quebec City on the campus of the Université Laval and in the surrounding region. 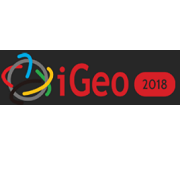 With some 50 different countries expected to participate, iGeo 2018 will be an exciting opportunity to appreciate the diverse peoples and landscapes that make up our world. The Olympiad will be highlighted by multiple cultural events, a poster presentation session, and a faunal concert emphasising sustainable development. The iGeo gold medal ceremony will take place at the Quebec City Conference Centre during the opening ceremonies of the IGU-CAG-NCGE Congress. For more information on the International Geography Olympiad please go to: GeoOlympiads 2018.